JUST REDUCED ! 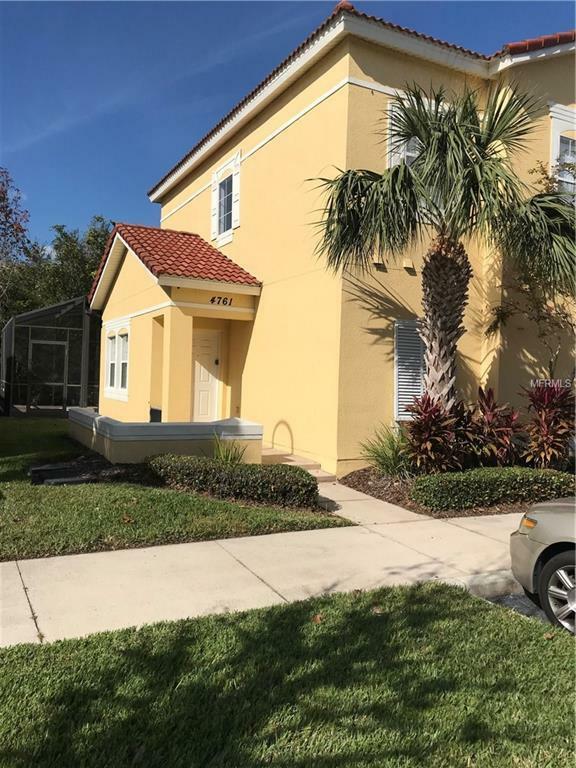 OWNER SAY'S: "BRING ME AN OFFER" !NEW carpet and just painted.Wonderful opportunity to own this 4 bedroom 3 bath totally Furnished Townhome in the Gated, Resort Community of Terra Verde. This Townhome has in excess of 1,600 SF over two levels, is an end unit and backs up to a GREEN BELT for extra privacy. If privacy is what you want, then you want this property. The Master bedroom is on the 2nd level along with 2 additional bedrooms and a full bathroom. The 4th bedroom is located on the 1st level next to the 3rd full size bathroom.All 4 bedrooms are carpeted and the 1st floor is ceramic tile throughout the family room, kitchen, foyer and dining area. The kitchen area is open to the family room and dining area so you never feel left out.Also on the 1st floor is the laundry which is equipped with a full size washer and dryer. Located through sliding glass doors from the dining area, you can sit back by your own private screened enclosed pool and relax or take a dip. It doesn't get much better than this!Terra Verde is a beautiful RESORT Community which has much to offer. With amenities such as tennis courts, basketball court, volleyball court, mini golf, cardio gym, private movie theatre, heated swimming pool, sauna, hot tub or the Tiki Bar, you never have to leave the community. 24 Hour security is always a good feeling and knowing that shopping, restaurants and the Area Attractions are all close by makes Terra Verde the perfect investment property or second home.